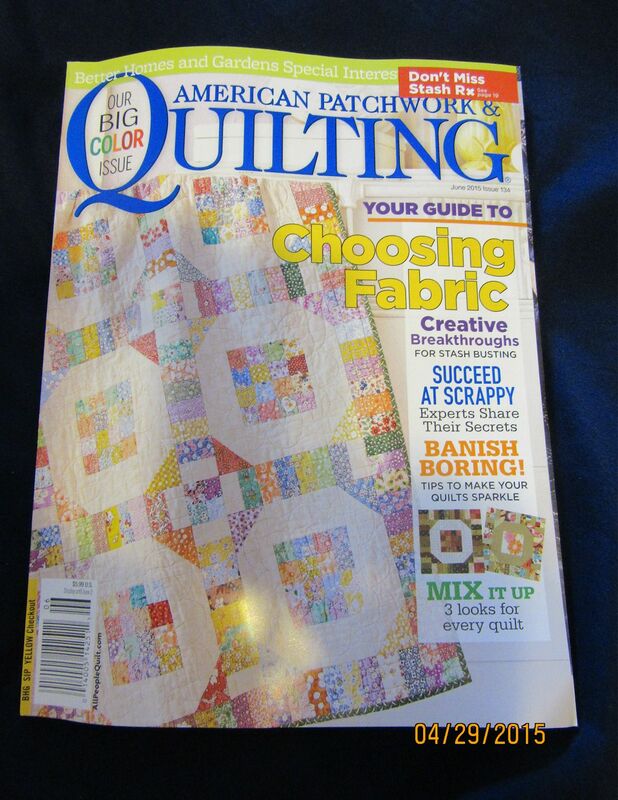 I picked up a copy of the COLOR ISSUE of AMERICAN PATCHWORKS and QUILTING. It is one of the few magazines I actually pay for full price. Most of the magazines I get are from quilt shows and guild meetings where they are donated and sold for a very reduced price. I make sure to save this magazine in it entirety in in with my books of color theory. If you read my blog before you are aware of the rants I go into when the available magazines do stupid marketing. If not check back in my blog over the last couple of years. 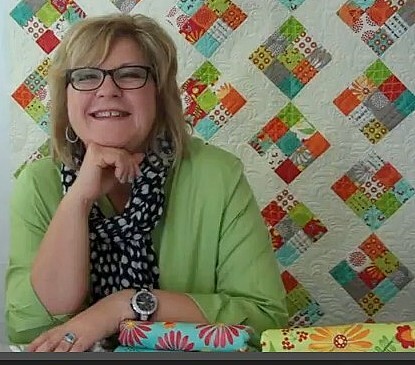 I always enjoy WEEKS RINGLE’s Stash RX (THERAPY) She teaches the magazine readers different ways of looking at their stash fabric to actually use their stash in different ways to make more exciting quilts. I always learn a lot from this article and the series of quilt project they use where they actually apply the lessons and principles taught. I also like how they frequently have multiple colorways of the same quilt pattern. 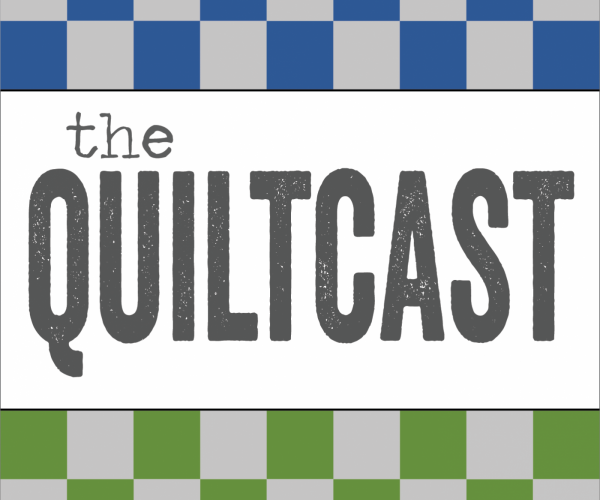 This last week the editors of AMERICAN PATCHWORK and QUILTING recorded a podcast and published it on Pat Sloan’s podcast station. They go into detail on many of the quilts in the magazine and how they enjoyed making the project. I found I really enjoyed thumbing through the magazine as I listened to the podcast. I have provide a link to PAT SLOAN’s podcast so if you have not downloaded the podcast before you can do so now…. It is well worth the listen. ADDENDUM: I was not too happy with the actual quilt patterns in this issue. They were pretty much patterns that have the same blocks that have been published a number of times in the last several years ….. Churn dash, Snow Balls, hour glass, Ohio Star. With over 4000 known royalty free blocks why do quilt magazines tend to use the same blocks over and over again? I will be posting this list periodically each year. I like to direct download my podcast to my computer, this list just makes it easier to find them. I will update as I find new links to post, need to get the blogs linked up to the pod-caster. 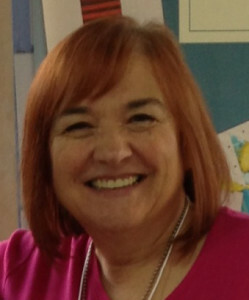 FRANCES has a new podcast for Creative Writing for kids….. Starting APRIL 2014 … loving it! 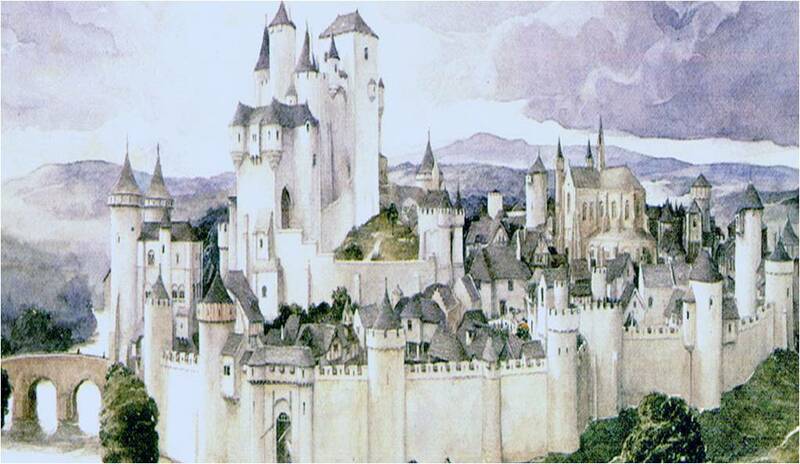 http://thehistorychicks.com/?cat=6 . . . MY FAVORITE HISTORY CHICKS HISTORY PODCAST …. YOU will find book reviews on this bloggers page. A J the QUILTING POT …. WEEZY WORKS HOME PAGE . . .
http://sewingmompodcast.com/ …. SEWING MOM PODCAST …. https://itunes.apple.com/al/podcast/001bonnies-creative-quilting/id162208330 <<< BONNIE MC CAFFERY VIDEO PODCAST ON iTUNES …. Purple Daisies podcast and blog …. http://purpledaisiesquilting.com/blogs/sewmuchlikemom.atom …… PURPLE DAISY BLOG ..
QUILTING BITS AND PIECES . . .
http://craftyplanner.com/podcast/ >>> CRAFTY PLANNER …. found May 2015 …. .. DIRECT DOWNLINK TO … WHILE SHE NAPS …. 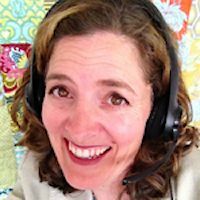 JENNIFER IS BACK ON THE AIRWAVES … and she has a treasury of older podcast to check into… she interviews crafters. http://theaudacitytopodcast.com/…. AUDACITY to PODCAST …..
YOU CAN DOWNLOAD DIRECT any podcast file on a blog. Saturday, was a day filled with errands including a trip to the dealership to have a mirror replaced on my driver side door. I did not have a lot of time to actually work on my project but I did do a lot of thinking about it. 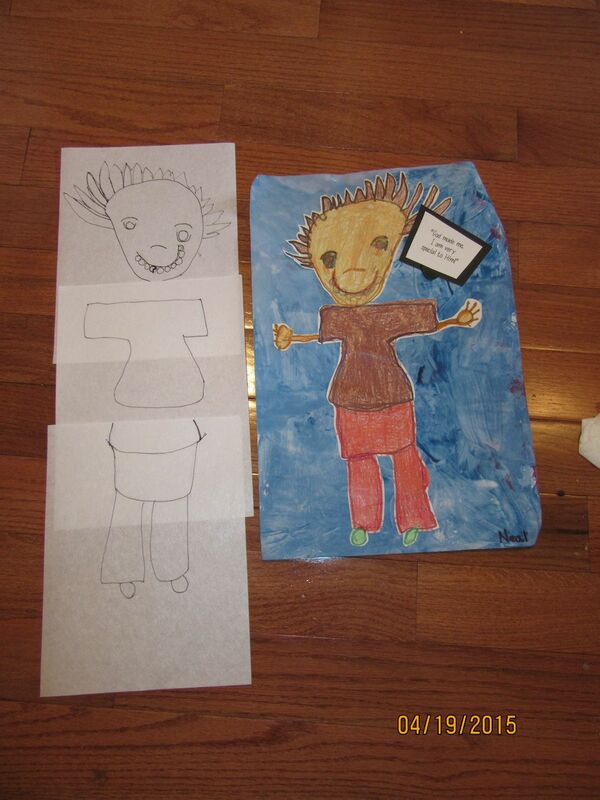 My conundrum is how to replicate the art piece as close to his drawing as possible. In part knowing myself I have to suppress my fussy nature I have to prevent myself from “fixing” his anatomical errors. I also realized I wanted to be sure not to flip / mirror the orientation of the picture as I want it to look as close to the original as possible. I am anticipating thread painting as some of the process so I am going to use my Ricky Tims Stable Stuff to stabilize the fabric. I drew out the picture on the stabilizer and then putting on a sun lit window redrew the picture. I had used pencil when traced directly on the picture as I did not want to damage it. When retracing on the window I used a fine line sharpie. I figured since I can not get the sharpie marks out of my fabrics when I write on my uniforms by accident the marks will also stay when I do it on purpose. I plan to fuse / my stabilizer to my fabric then sew from the back a single line of stitching recreating the drawing lines. By having a mirrored drawing as my pattern when I sew from the back it should look like the original drawing. I am going to use ( 60 wt) matching thread. Hopefully, by doing this it will give me a basic sketch that I will use thread painting strengthen and define. I can already tell the face is going to be the biggest challenge. The next task I do have planned related to this project is fabric selection. I am going into my stash to find fabrics that will work to replicate the drawing. From those fabrics I will let my grandson pick the fabrics to go into the drawing. I have to be careful on how I handle this as my grandson knows I have a stash of Star Wars and Super Hero fabric that I will be using in the other blocks of the project. I can see him wanting the drawings to have super hero clothes on. It is his quilt but I will maintain control and decorum. Doing a rough draft of the project on the stabilizer is as far as I have gotten for today….. no sewing. More errands and chores to do today …. such is life. If anyone has any input, tips about the project and techniques I am using by all means tell me now, leave a comment. I have been quiet for a while… just not sewing, quilting or doing much of anything creative or productive. I have to decided to try something different for me. I plan to post short blogs first detailing my plans then tracking my progress. I am hoping this will keep me on track so that I actually make some progress with my projects. Here is the first project I am blogging about as it is one I am currently starting as there is a great need. My grandson came to me dragging his current quilt and told me he need a new quilt cause the ones he had are too small. He is right cause he has a bed ( full size) and I have not made him a quilt since he was a toddler. He has grown like a weed and the older quilts no longer cover him adequately….. My daughter has threaten to buy him a STORE BOUGHT QUILT if I do not get one done for him by the time they move into their new home. So after consultation with my grandson we have come up with a plan. 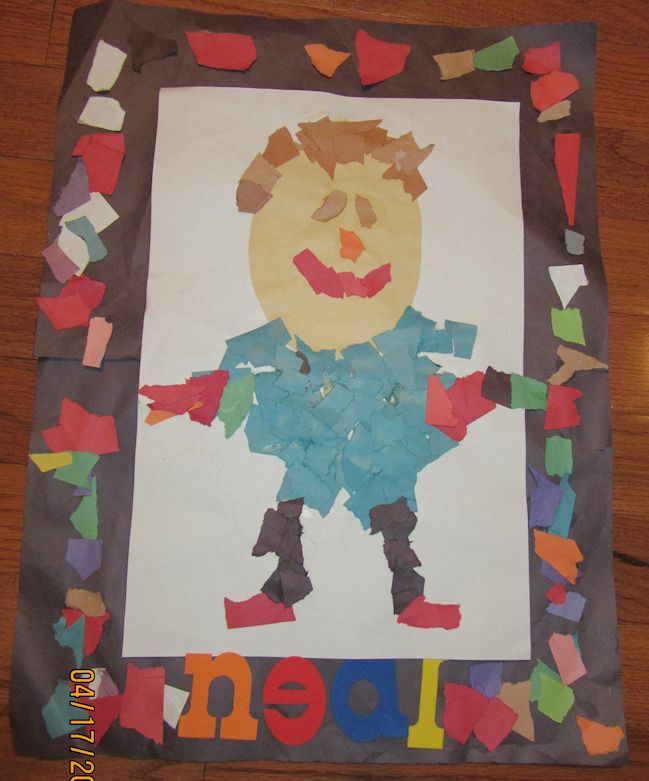 Every year in school my grandson participates in a school wide art project. 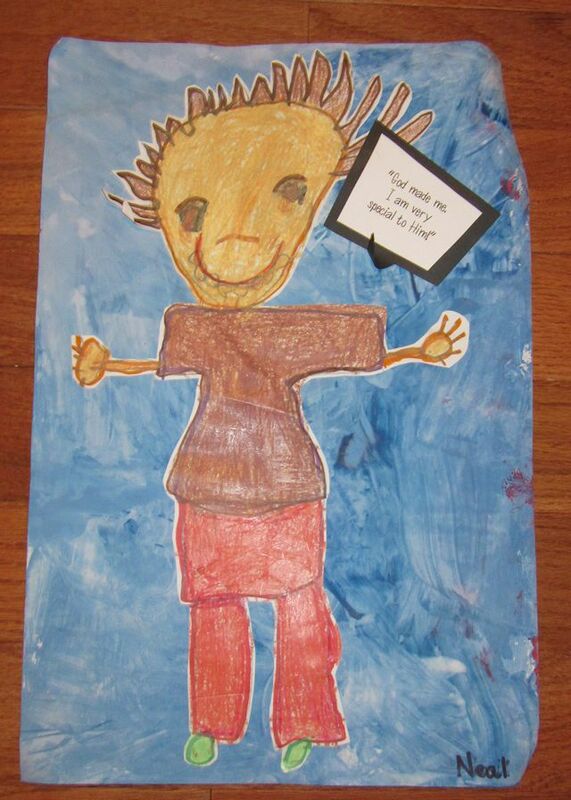 They make self portrait and they are displayed in the hallways. I sometimes wonder how much work he did on the projects and how much was done by the teachers and para-pros. Regardless he is very proud of these picture and insist they be kept safe. I have taken pictures of his pre-school and kindergarten portraits (see pictures below.) He is currently working on this years portrait and I will probably include it in the quilt too. 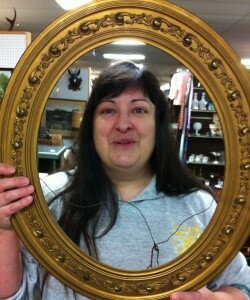 I am planning to replicate the pictures in fabric. I am going through my stash of fabrics in order to get started. I am planning to add my grandson’s favorite fabrics to the quilt but am not sure what pattern I will be using. I am letting my grandson have a lot of input into this project. I just love these pictures and look forward to replicating them in fabrics. It has been a while since I started this little project. Last January I made the block which is the subject of my previous blog. 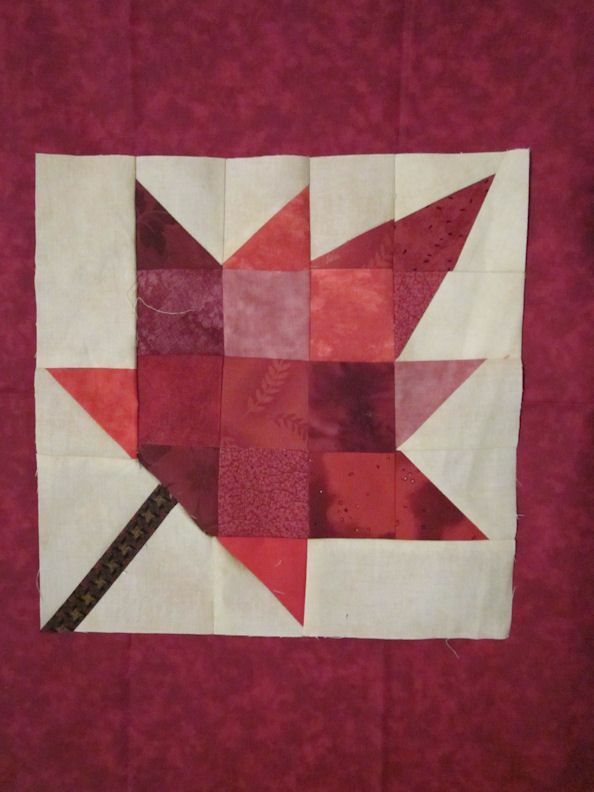 I detailed in that post the problems I had making a maple leaf block using the new(er) picture piecing method. When I got home from my retreat I had to take my machine in for service. It took almost 2 and half months to get it fixed because they had to send to Switzerland for the parts. I did buy a Singer 301 as a back up machine but it does not do any free motion quilting. I did use it to piece the block I was working on but then I got stalled. It did not help that LIFE interfered with other home projects that could not be delayed. When I got my sewing machine back I finished the block in one afternoon and had a blast doing it. Last year I had designed a 8 and 12 inch maple leaf blocks I had seen in a magazine. I had made several of the blocks for a quilt I want to make for my husband… This is my version of a block of the month. I make blocks of various sizes when ever I get the chance. I then put the blocks into a box and will assemble the quilt when I get enough of them. I also recently redrafted the block in EQ7 because I was not 100% satisfied with my first block draft. I had trouble lining up some of the pieces. For the post card I used the improved design but had trouble getting the size I wanted. For the BOMs it does not matter what the sizes my blocks are as they will be assembled as if they fell out of trees. I do get aggravated when I use EQ7 and do not get the block to look like what I want… to be honest I do not have enough hand control to draw really nice blocks. I usually have to fix the block when I sew. I am finding that when I redesign a block a second or third (4th) time it usually comes out better…. YES practice makes perfect… or at least nicer looking. . . When I got to the free motion quilting I used a technique I saw / learned from my Craftsy class with CINDY NEEDHAM. 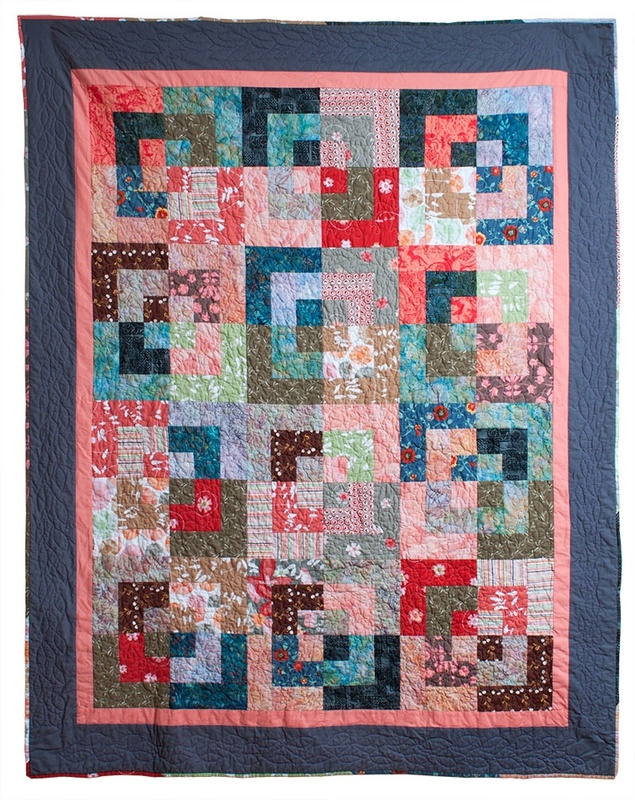 She took a patterned fabric and used it as backing she then used it as her FMQ design. I did the same picked a pretty fabric; I then FMQed the background pattern. I used thread painting, over stitching and back tracking to add texture to the piece. This has inspired me to do the same to the BOM leaf quilt when I get to the point of FMQ. 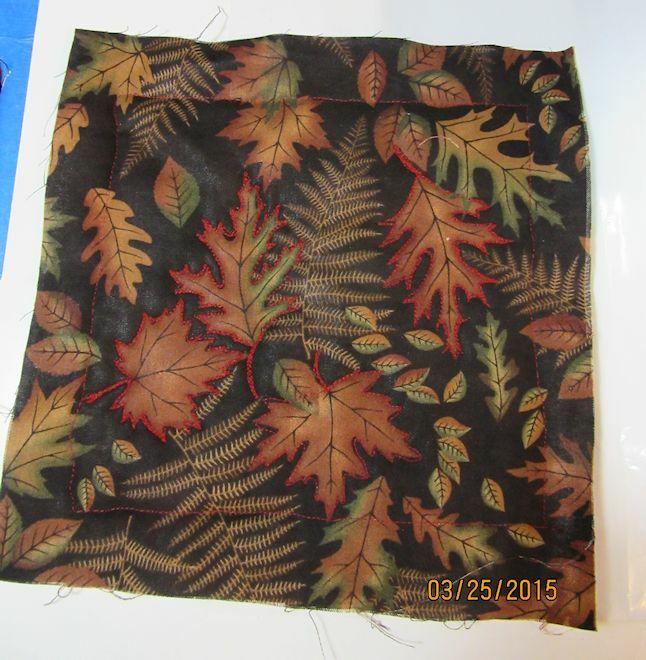 I have been looking for 108 INCH LEAF pattern backing fabric but so far NO LUCK. IF I do not find a patterned background fabric I like I going to make my own by using various stamping and marking techniques in order to get a leaf backing I like. By stamping my own background leafs I will take the plunge into mix media art work, but this is a blog for the future when I actually try out my ideas. This is the block I made … it is now on it’s way to the giftee. 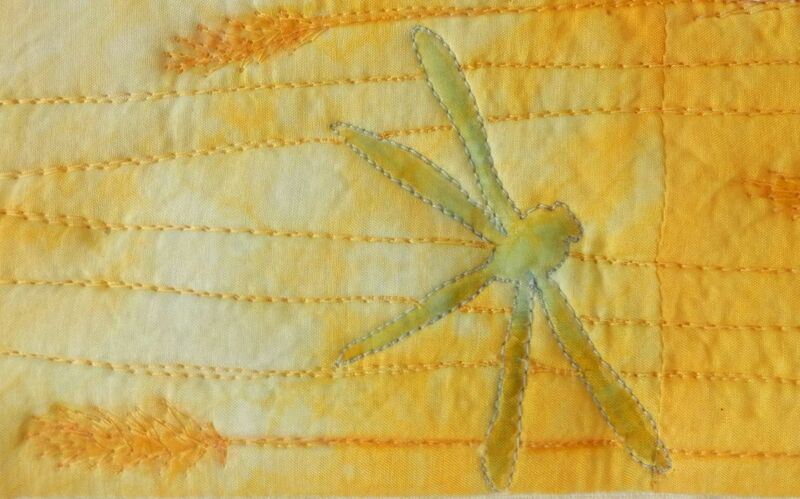 I am very pleased with it and look forward to making more blocks for my quilt using the new design …. I can hardly wait until I get to the FMQ part of the project. . . … …. .. I bought this book after seeing it highlighted on THE QUILT SHOW. 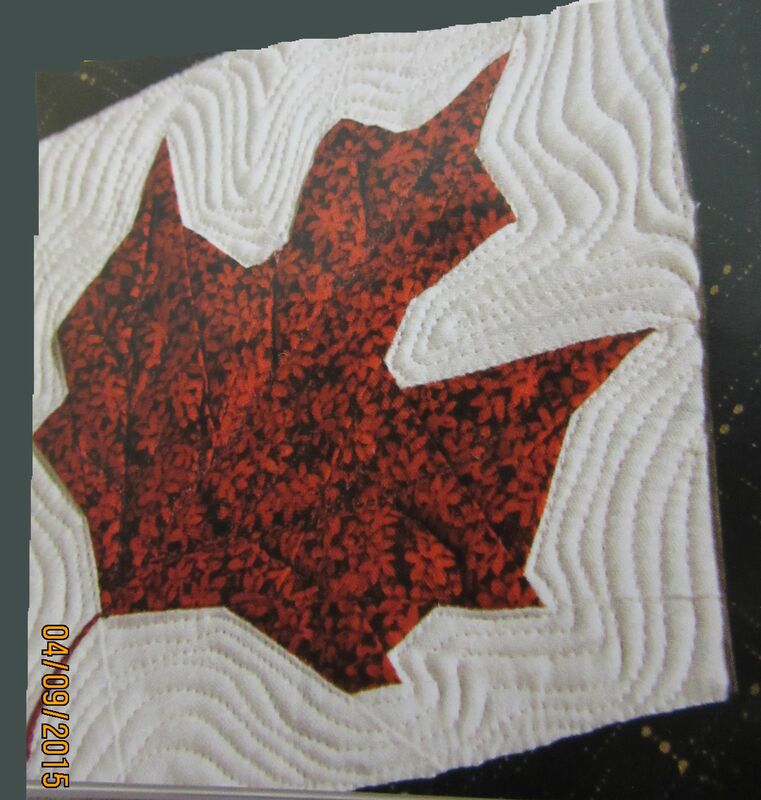 I was looking for a MAPLE LEAF block to make first for a post card then later for an entire quilt. I will show you a picture of the block I made after several attempts at the bottom of the post. In part I can not blame the book and it instructions they are straight forward and detailed but I just could not wrap my brain around this technique. I think I set myself up for failure because I thought the technique simple after what I had seen on THE QUILT SHOW videos. ( By then I owned the TQS dvd.) I have been doing foundation / paper piecing for years this technique was suggested as a replacement for that technique. I will say after several attempts at making the block from the book I gave up trying and used a different technique. I had been enticed to try this technique by the pretty little block in several different quilts. I was terribly discouraged because I could not get good results. I may try this technique again in the future but for now I am putting it aside to go to something else. 1.> I pre-selected fabric scraps ( from another quilt , more about that in a following blog ) that turned out to be poor choice for this block / technique. I would have a more successful block if I had selected similar color fabrics. The scrappy look did not work with this block. 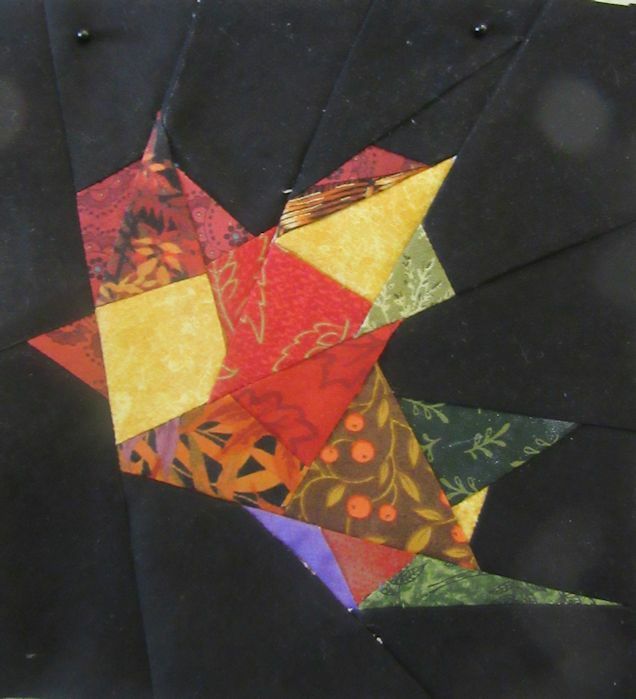 2.> I had chosen black KONA as the background fabric but it was too dark, too close to the colors of scraps used in the block. I did not have enough contrast in the selections of fabrics to get the look I was trying to achieve. 1.> There are 8-10 basic patterns that are then used in several projects. She has patterns for Maple Leafs, Roses, Violets, and several star blocks. She took the motifs she designs and used them in different ways with different effects in multiple projects. If you like her projects you might like this book they were very nice, very traditional in style. 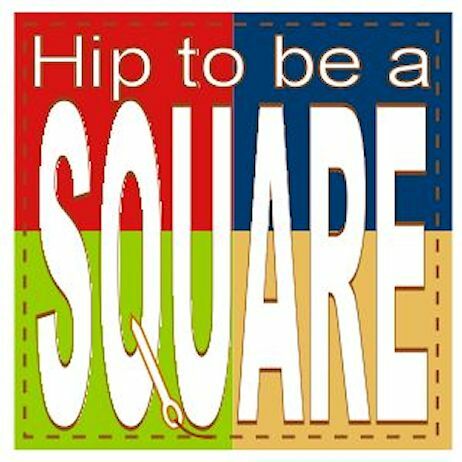 2.> The instructions for the picture piecing process are detailed and inclusive with many tips and tricks that can be applied to any quilt. 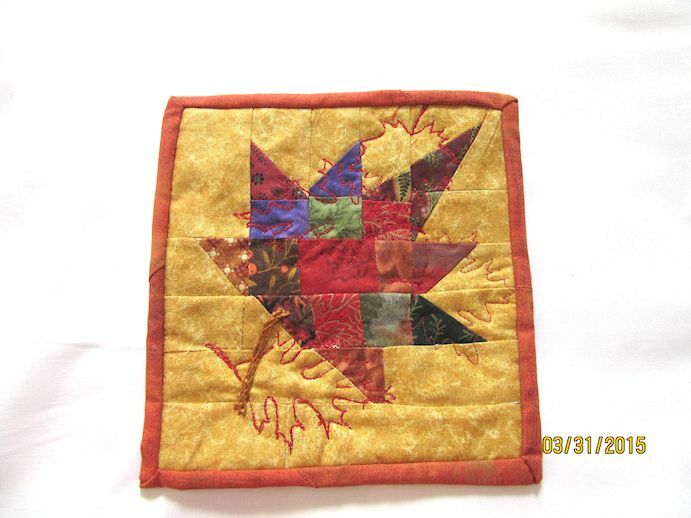 For that reason I enjoyed the book and came away some new ideas to be my quilting endeavors in the future. 3.> I will say this technique wasted a lot of fabric. I was only using scraps but I notice the waste when I watched the video on TQS and when I actually used my scraps. This technique wasted more fabric then the standard paper piecing . This is my opinion and others are free to disagree with it. At this time I rate this book 3 out of 5 ( GOODREADS) Frankly if I knew then what I know now I would not have bought the book. 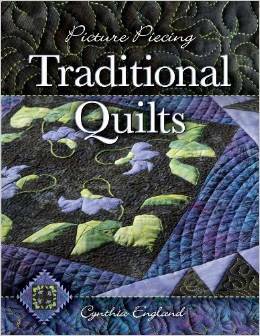 ( FYI: My library system does not carry this book … as a matter of fact they have very few quilting books of any kind. Which is odd as Mid MI is a quilt guild heavy area. ) That said, as of now I am keeping this book on my technique book shelf. WHAT the leaf is suppose to look like… then what my block looked like. YOU can see why I threw in the towel.